We were out of town last weekend so I made the executive decision to let X week go over two weeks. This is almost always a bad move. The older he gets, the more fast paced Ethan likes the weeks to go so I spent the latter half of this week listening to him beg me for new tot trays. 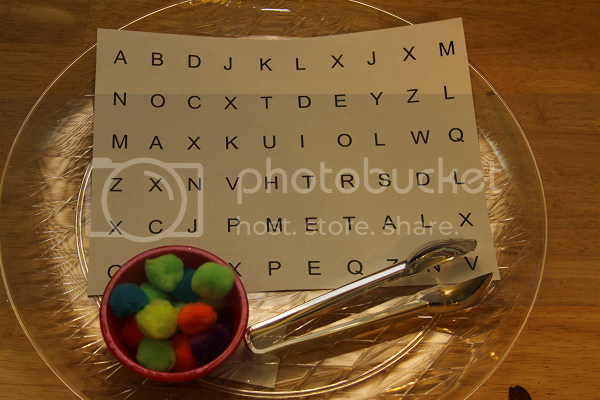 I'm actually surprised at how much fun we had with the letter X after I was sort of pessimistic about it, but we also included some Valentine's Day and Groundhog Day activities to spice things up a little bit. For some reason, this one printed different than it had looked on the screen. It ended up being pretty bunched together. Still, this went in a dry erase pocket and Ethan got to practice drawing lines from each key to the coordinating color square underneath. 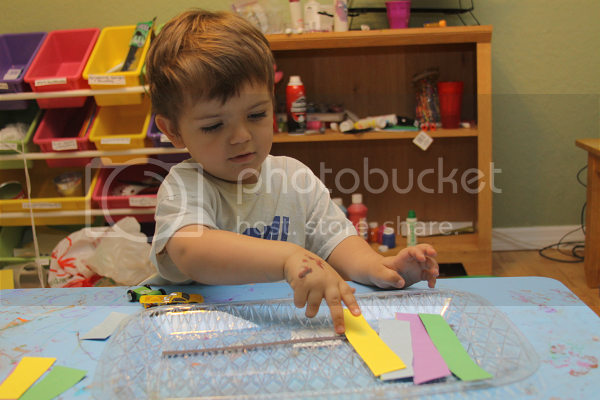 Ethan has been really into cutting activities, so I was surprised when he had little to no interest in this one. The point was obviously to practice cutting on the lines, but he really wasn't too into it this week. 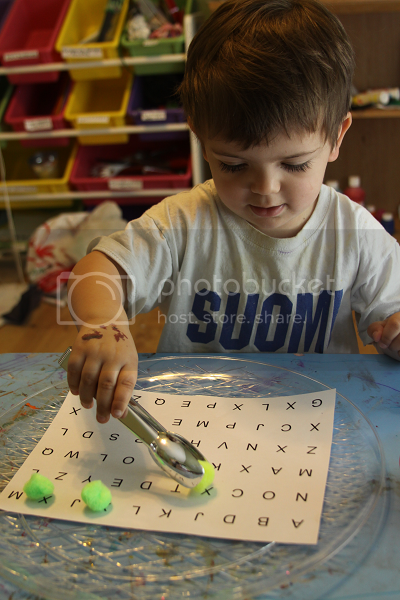 This was a simple print out of some random letters and Ethan got to use tongs to place the pom poms on the letter X as he found it. Because I called this one a "treasure map" and that reminded him of pirates, he really enjoyed this activity more than I thought he would! 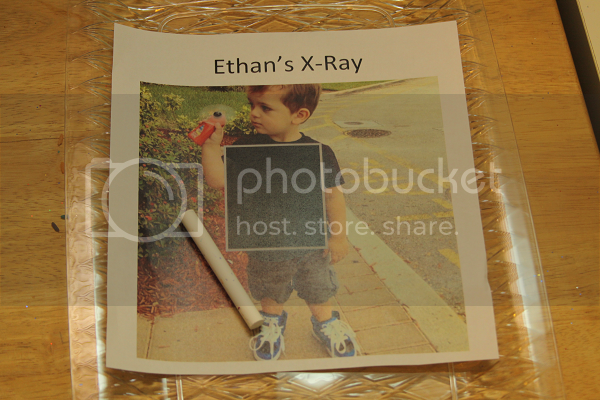 Ethan knew that an x-ray took pictures of bones and since he's obsessed with all things bones and skeleton, he was excited about this one. I took a picture of Ethan and added in a little black square. Ethan got to use chalk and draw on the bones on the x-ray. 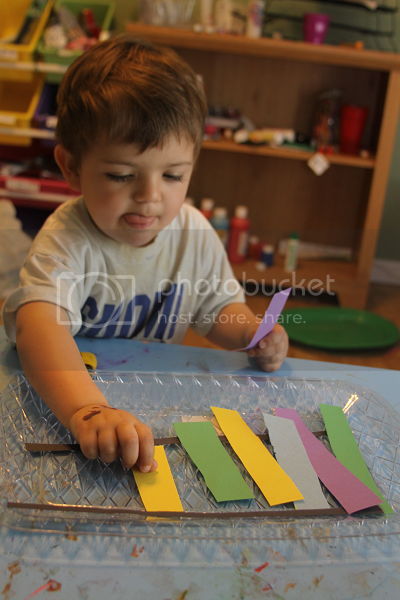 This was just a fun little activity that he loved to do over and over again! 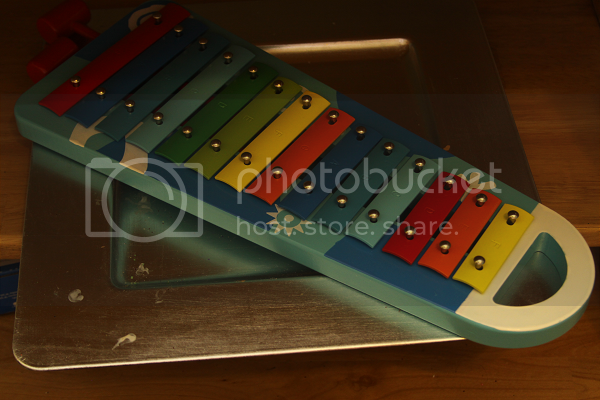 For this one, I used construction paper to create all of the pieces of a xylophone. Ethan got to put it together by placing the keys in the right size order and figuring out what fit best where (the smaller keys fit better where the black lines were more narrow). 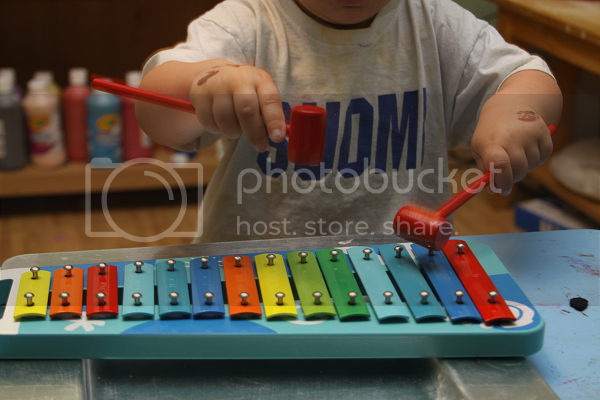 He really enjoyed this one and making his own xylophone! 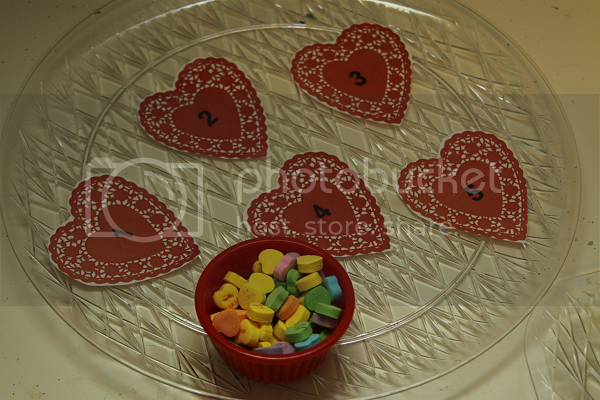 I put some candy hearts in a dish and wrote the numbers one through five on print-outs of little red doilies (apparently our dollar store didn't sell actual doilies?!). 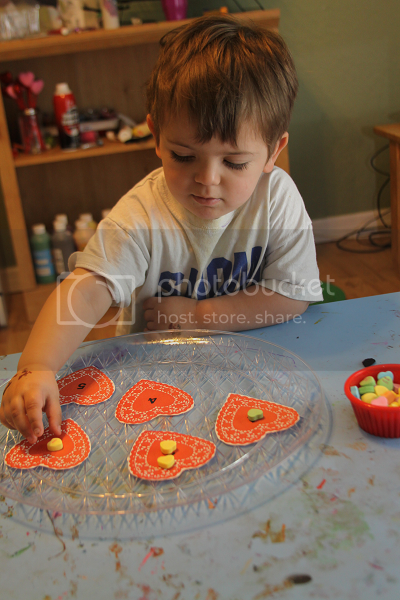 Ethan got to count out the hearts after recognizing each number. This was great because he didn't realize the numbers were edible at all until close to the end of the week. 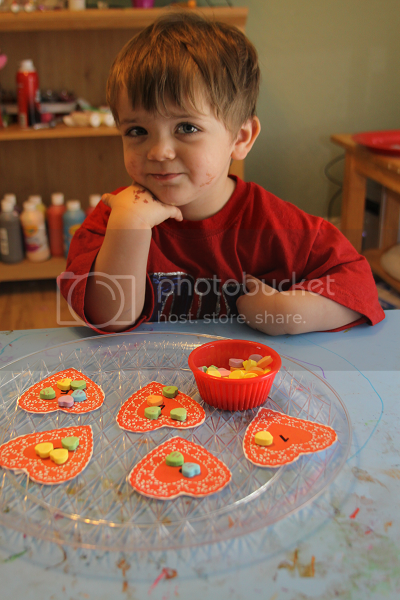 Once he realized they were edible, we very soon didn't have enough hearts to count out! 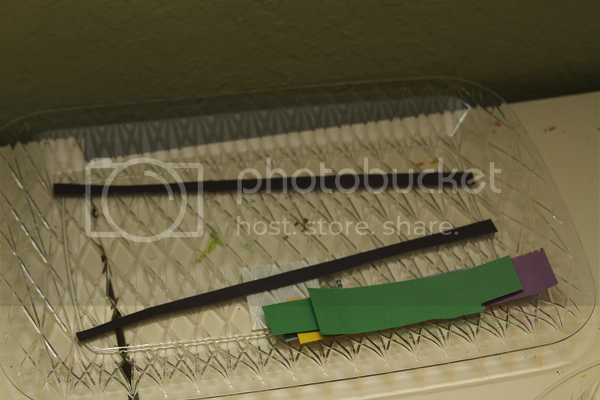 Since Groundhog Day happened over letter X week, I included a tray with a little flashlight and some cut out shapes. We learned about shadows and how the groundhog sees his shadow. The concept of winter may have been lost on Floridian Ethan, but the concept of shadows sure wasn't. 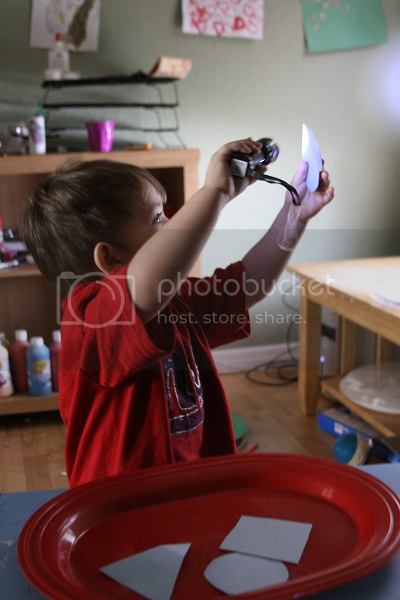 This was by far his favorite activity of the week and he loved seeing what he could cast shadows on! 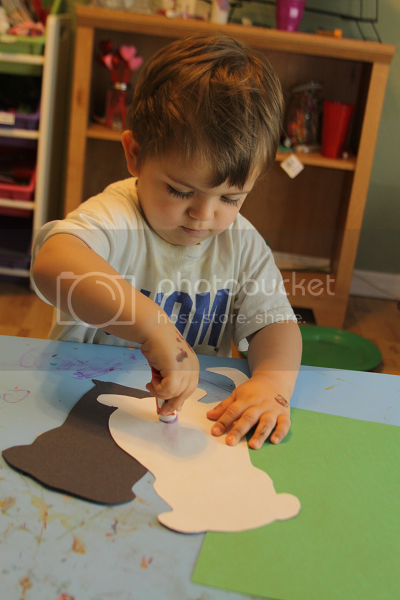 I gave Ethan a cut out of a groundhoug and a black coordinating construction paper shadow and let him go to work gluing the groundhog and his shadow. 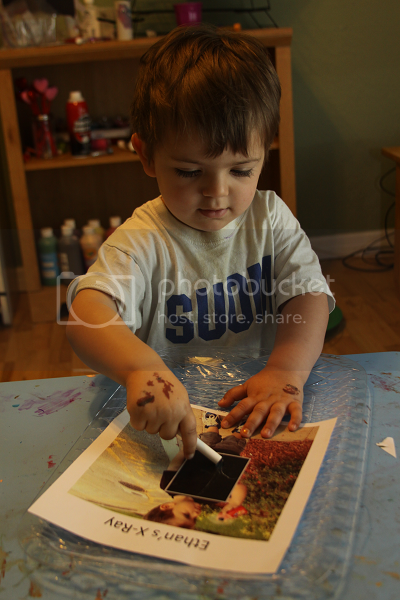 I also gave Ethan a sheet of black paper and some moon paint (3 parts shaving cream to one part glue) and let him go to work creating an x-ray. He loved this! I don't write about our music nook a lot, but it got a lot of action this week! We have a record player and some instruments set up in the corner of our classroom. 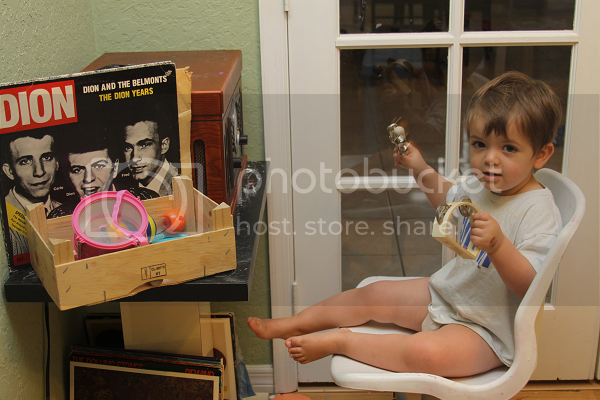 Ethan loves to spin vinyl and play along to the music. 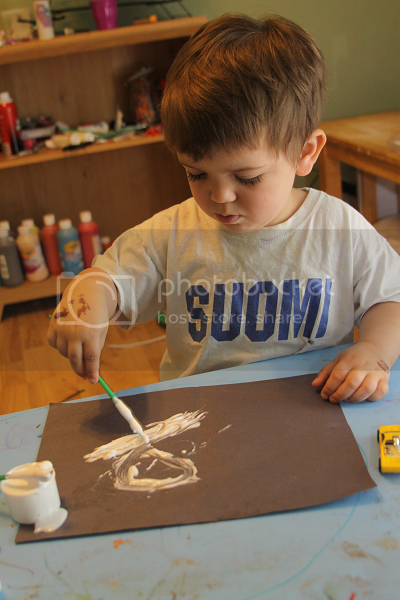 Sometimes he likes to color or paint along to the music. 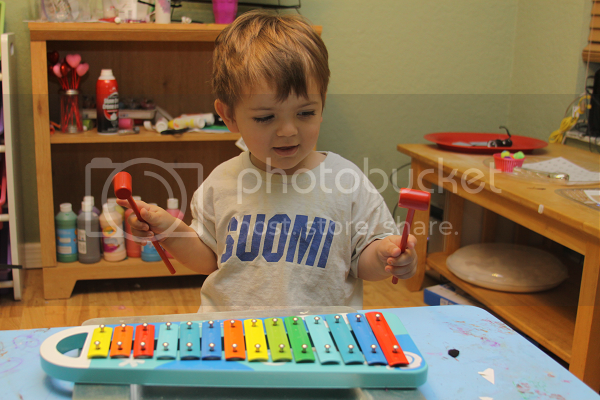 Lately he's been getting more and more into the music nook! 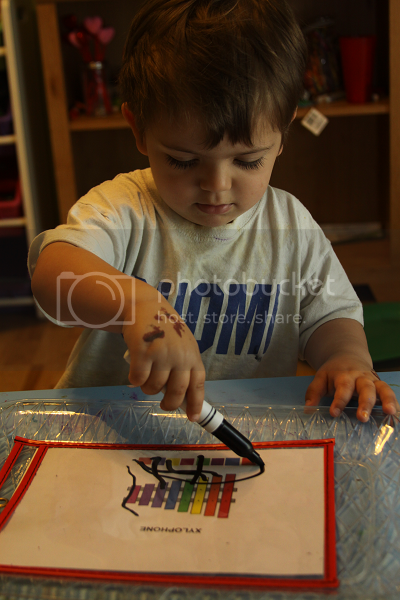 When we first started the ABC's, I would give Ethan records with artists that begin with the letter we were learning. However, it's much more fun to let him pick what he wants to listen to and experience all different genres of music (his favorites these days are Dashboard Confessional and Dion!). 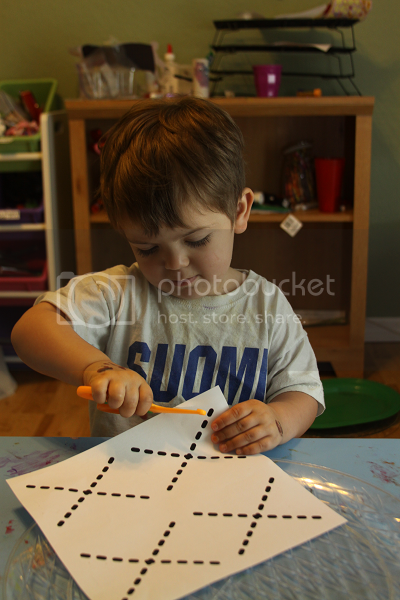 We are soon going to focusing on the letter x and I am loving your activities. 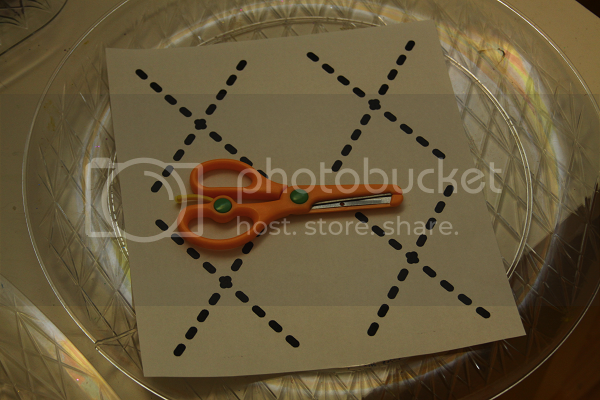 The treasure map is a wonderful idea as are the x-ray activities and the xylophone. 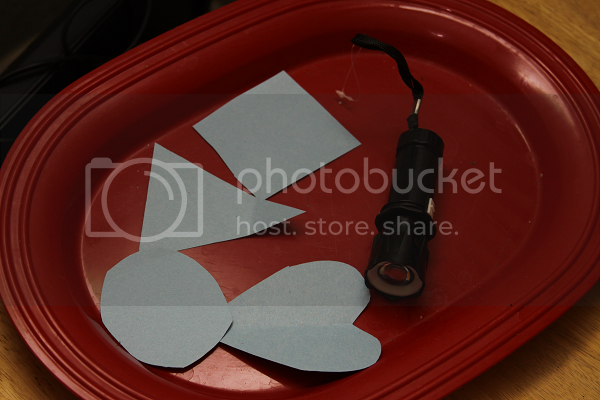 Cute Valentine's and Groundhog day activities, I will have to try to remember them for next year. 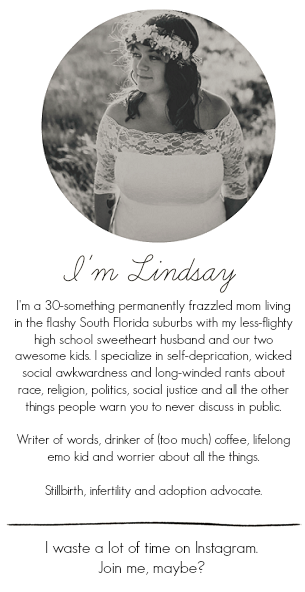 I would love if you could stop by and share on my Toddler Idea Tuesday linky. 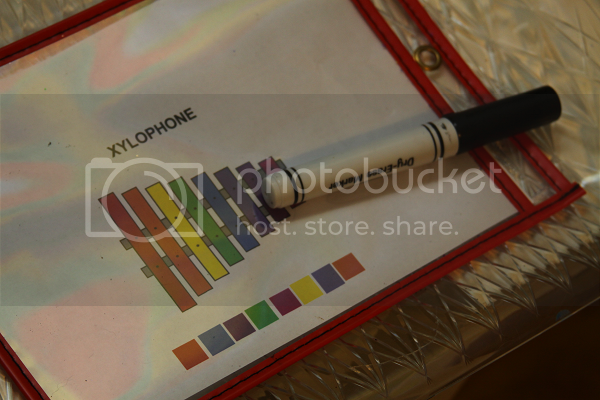 Love the sizing xylophone. So creative!